Find out how you can support KCCCU through our strategic Business Partner sponsorship packages. Choose one that is right for you! This personal approach for meeting the critical needs of credit unions has earned Allied Solutions an unmatched reputation. Our customized, technology-based solutions are second to none in flexible coverage and administrative support. As one of the industry’s largest providers of insurance, lending and marketing products, we are able to provide credit unions with the most innovative products and services available today. For a complete list simply call or visit us online. Learn more at www.alliedsolutions.net. Guided by the belief that work is good and intended to be an expression of what one loves to do we embrace the opportunities presented to us with care, gratefulness, and enthusiasm. We believe it is an honor to partner with others, serve our clients, and support our associates. If you are considering home ownership for the first time, you need to decide whether a home purchase makes financial and practical sense for you right now. Buying a home offers many advantages, from the most basic desire of pride of ownership to tax deductions and building equity. There are many ways to finance your first or next home. From fixed interest loans to adjustable rate mortgage loans, the mortgage options available to homeowners are vast. Take a look at our mortgage programs to get an idea of the mortgage options available to you before beginning the mortgage application process. As a credit union service organization (CUSO), Member Access Pacific’s business model remains true to the core credit union value of credit unions partnering cooperatively. 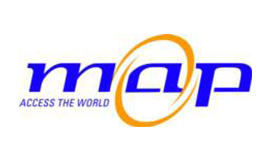 MAP provides a comprehensive platform of Issuer and Acquirer solutions customized to your corporate strategies and member goals. We combine our credit union focus and superior service and support for credit unions and their members with the advanced card processing and technology strength of global industry leaders for unmatched solutions designed to improve the technological strength and prosperity of our clients – simply, confidently, and conveniently. This is made possible through the unique blend of processing and network systems, business partners and product lines specifically designed to meet the growing needs of member cardholders. As an organization, Member Access Pacific is network and processor neutral. This allows us to consult and to serve based upon the individual needs and goals of our credit union clients—and to present optimum solutions and business relationships tailored to each client. Our national presence and co-operative foundation deliver premium processing solutions to credit unions beyond the scope of the current industry. These solutions follow all the way through the chain–from new product development and delivery to card processing strategies, service, training, support and member satisfaction.Card and ATM ProcessingMAP integrated advanced delivery systems provide global technology solutions, service and productsRobust Integrated Delivery Systems Customized single-point Debit, Credit, ATM, pre-paid options such as gift, payroll, travel and “underserved” solutions.Profitable Strategic Alliances Designed to boost issuer profitability, cardholder loyalty and serviceQuality of ServiceDemonstrated client and cardholder satisfaction ratings. For the past 50 years, Enterprise Car Sales has been selling cars only one way. We select great vehicles – most from our fleet of more than 1 million used vehicles – offer competitive used car prices, and back each one with one of the industry’s best vehicle warranties. And in addition to a great warranty and some of the best prices on used cars, our professional staff is trained in a low-pressure sales process that puts our customers’ needs first. That’s the right way to sell cars. It’s the Enterprise way. Kaye-Smith is the Northwest’s leading outsourcing company for Print and Document Management and Data-Driven Communication services. We provide an end-to-end enterprise solution in the areas of: Statement, Notice and Invoice Processing; Database Design and Programming; Direct Mail Marketing; Web 2 Print; Print-On-Demand, eProcurement & eCommunications; Fulfillment; and Inventory Management. We specialize in serving the Financial, Insurance and Medical/Healthcare industries. Learn more at www.kayesmith.com. Oak Tree has been in the credit union business continuously for over 35 years, developing, supporting and maintaining lending and operational documents for credit unions in all 50 states, Canada, Puerto Rico and the Virgin Islands. Forms are your credit union’s tools of the trade. Ideally, these forms integrate seamlessly with your technology for streamlined performance. More importantly, they must comply with both state and federal standards or your credit union could face serious liability. This is why Oak Tree Business Systems is a reliable source for credit union forms year after year. Our team of professionals lets you focus on everyday life while they do most of the work for you. Enroll in Real Estate Services and we’ll help you purchase a new home and/or sell your existing home with less hassle. You’re safe in our hands. We’re here to help educate, plan, and save you money! For more than 30 years we have been a solution to community financial institutions and their members and customers. We believe in working together to create success, focusing on service. We get it because Servion is made up of regular people, who buy homes, are planning for a confident retirement, and have started businesses. Just like you. You’ll hear it in our voices over the phone, see it demonstrated in the promptness of our replies and the extent of our service. You’ll know when you sign your name that you are dealing with a company that works with your best interests in mind. You’ll feel good about the process and great about the outcome.